Looking to reel the kids out of the house? Fishing is a great way to get them away from the computer and bond with them in the great outdoors. The Midwest is full of incredible spots for your family to cast their lines. Here are some tips and places to check out that will get your children hooked in no time. A dull hook can mean a dull day on the water. Nothing will make your kids enjoy fishing more than experiencing the thrill of the catch, and nothing will turn them away from it faster than the repeated frustration of losing fish after fish. You can test to see if your hook is sharp enough by dragging it across your fingernail. If it doesn’t scratch it, you need to sharpen or replace your hook. 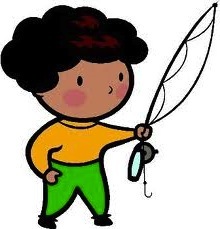 Make sure your children are careful handling the hooks and don’t catch their finger instead of a fish. Always have a first aid kit, just in case. You have five different types of lures to choose from: spinnerbaits, crankbaits, plastics, topwaters and jigs. Spinnerbaits and crankbaits are good if you’re going to be moving around a lot or if the bottom is rocky. Topwaters are best for shallow water. For jigs and plastics, you move the rod tip to retrieve the bait instead of reeling in like all other lures. If you’re fishing in a river or lake, find where the water turns from shallow to deep as well as mossy areas. Fish tend to gather in these areas to look for food. Make sure the kids don’t splash around too much. You don’t want to scare away your potential catches! 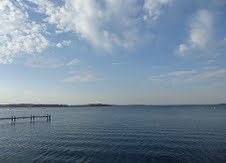 Beautiful Lake Mendota offers great urban fishing. Of the four lakes near Madison, this is the largest. Almost 10,000 acres of water reach depths of up to 83 feet, which is pretty deep by Wisconsin lake standards. It’s one of the best places in Wisconsin to catch walleye fish, since the Department of Natural Resources has been heavily stocking the species. There is a minimum size of 18 inches and a daily catch limit of three fish. Other fish that are abundant here include smallmouth bass and northern pike. This 1,617-square acre lake in Vilas County is full of largemouth bass, smallmouth bass, muskellunge, northern pike, and walleye. You’ll most likely be catching a lot of muskies, and big ones at that — Saint German Lake is known for its trophy-class muskies. The Bayview Resort is a great place to stay nearby to keep the kids entertained, with a game room, boats, canoes and a swim raft. There’s no better place in Illinois to fish for bass than Lake Jacksonville. The nearly 500-acre lake in Morgan County has garnered attention from the likes of Field and Stream magazine and it doesn’t take long to figure out why — it’s not uncommon to hook 15-inch bass (and larger). Keep in mind, there is a three-fish daily creel limit for Lake Jacksonville. If you plan to stay for a weekend or a few days, there is excellent camping nearby at the Buena Vista Resort and at the Crazy Horse Campground, which includes its own stocked fishing ponds and a disc golf course. Trout Run Creek is 12 miles of fish bliss riddled with pools, pockets and, of course, trout! The large brown trout are abundant and it’s a great spot for fly fishing. An important state regulation to be aware of is that all trout from 12″-16″ must be released right away. This gorgeous location in Lanesboro is a long-time favorite and a productive place to teach children the ropes of casting a fly line. The creek runs through Whitewater State Park, which features 47 sites with full electric RV hook-ups. Buckeye Lake in Ohio offers great fishing. 3,600 acres of water that’s only about 120 miles from Cincinnati and Cleveland makes Buckeye Lake one of Ohio’s most popular fishing destinations. You’re bound to catch a healthy haul of crappie – use jigs cast around docks to catch them. The best time of day for catching crappie is high noon, so make sure you put plenty of sun block on the little ones. For campers that like all of the amenities, the 40-acre Buckeye Lake KOA campground has plenty of room to spread out and settle down for a week. Being the state with the most fresh water access, Michigan is filled with great fishing. Salmon are abundant in the state and Ackerman Lake in Alger County is no exception. In the spring, however, the fish are constantly on the move because of changing water temperatures, although finding a honey hole during summer can be very productive. When fishing with kids, remember that removing the hook can get ugly if a fish swallows the bat, so don’t do it in front of your kids if they are younger. Seeing even a bit of fish flesh removed with the hook can scare children away from the fish fry you’d been planning for dinner. Fishing with the family can be a memorable dream vacation or daytrip for both parents and children. Do you have any suggestions for taking the kids out on the water? Need help get getting started? Here are some links to Angler Education Programs in Wisconsin, Minnesota, Michigan, Ohio and Illinois. Not see your state? Just Google the DNR in your state. Joe Laing is the Marketing Director for El Monte RV, your nationwide source for RV rentals. El Monte RV also sells used motorhomes through eight different locations across the United States. This entry was posted in Guest Post, No child left inside, Summer Activities and tagged angler education, fishing the midwest, fishing with kids by Get Kids Outside. Bookmark the permalink.